Dinny Hall is a luxury heritage brand and retailer committed to providing the highest quality jewellery and the best customer service within a friendly, positive working environment. Working at Dinny Hall isn’t just about having a job – it’s about having a career. We know our team members are Dinny Hall’s future and we are committed to helping them grow and expand their skill-set. Every team member works hard to give our customers a memorable and wholly pleasurable experience. If you are an enthusiastic, talented professional with a passion for luxury jewellery, we would love to hear from you. Dinny Hall is a leader in British jewellery design. With 6 central London stores and a growing international business both on and offline, an exceptional level of customer experience is at the heart of the Dinny Hall brand. Managing day to day media relations, building strong relationships & proactively developing new contacts in the industry. Coordinate and turnaround daily product and content requests from journalists/stylists, identifying relevant opportunities for product placements and features in London and the UK more widely. Under the guidance of the Creative Director & Head of Marketing, create and implement an on-going PR strategy across all channels, with a view to reach out to international press. Work with the Head of Marketing to create and manage Influencer & collaboration campaigns, acting as the key point of contact. Under the guidance of the Creative Director & Head of Marketing, lead the creation and roll out of an annual social media strategy aligning story-telling with critical path. To manage daily posting and engagement across all channels, alongside actively pursuing new opportunities. Represent the brand at events & manage end-to-end delivery of press days/showcases. Under the supervision of the Head of Marketing, write and distribute regular press releases, quotes and statements, to launch new products, events and initiatives. To collate and manage the archiving & use of all press coverage achieved. To report weekly on all press coverage, and monthly on AVE. Responsible for seasonal photo shoots, styling, sourcing props, and storyboarding under the guidance of the Creative Director and Head of Marketing. Ensure the press contacts database is up-to-date. Manage Press stock and inventory integrity. 1-3 Years of PR experience in the luxury fashion or jewellery industry. An understanding of social media and digital marketing platforms and how these can be used for marketing PR purposes. Good command of the adobe creative suite. Highly articulate, culturally aware, friendly and confident with the ability to form press relationships. A well-rounded team player, but highly independent as the role is situated over two offices. To apply please send your CV and covering letter to hollie@dinnyhall.co.uk stating the job title in the subject line. Work closely alongside Creative Director to create, visualise and execute concepts for the brand, translating seasonal orientations into brand-appropriate visuals and effective store POS. Support the Marketing, PR & Web team by designing engaging brand-appropriate e-mail newsletters, advertisements, press releases, invitations, presentations, sales tools, and any other adhoc requests. Create all online assets across the brand’s digital touchpoints, including web banners and site visuals, editorial blog posts, and social. Art work, print and distribute all printed brand collateral from promotional postcards & concertinas to instore displays and window vinyl. Develop and update a folder of internal Dinny Hall Brand Collateral and templates for employees to use including letter headed paper, business cards, compliment slips etc. Develop an effective and engaging brand pack under the guidance of the Creative Director & Head of Marketing. Actively brief, and on occasion create, new and engaging visual content across all brand channels including video, GIFS, and interactives. Informal In-house photography & filming, retouching and cutting. Manage key relationships with suppliers and printers. 2-4 Years of Graphic Design experience, preferably in the luxury fashion or jewellery industry. Able to confidently manage multiple projects at once, with excellent multi-tasking skills. A well-rounded team player, but comfortable working independently. Able to translate briefs and business needs into engaging visual content, graphics and messaging. Passionate about jewellery and elevating the brand’s unique aesthetic. We are looking for a talented Store manager with 3–5 years of successful management experience and strong existing customer contacts. As flagship store manager you will be required to take responsibility for the strategic development of our flagship store and the achievement of store’s financial goals through strong leadership, developing skills of the store sales team and the development of a strong client base. Demonstrate sales leadership by playing an active role on the sales floor through customer engagement with top clients, ensuring the highest level of customer service is provided to manage, train and develop your team. To apply please send your CV and covering letter to barbara@dinnyhall.co.uk stating the job title in the subject line.  Dinny Hall is recruiting an Ecommerce Assistant to join the web team based in Islington. The role is systematic and detail-focused with a broad range of daily tasks. We are looking for someone with a strong analytical mind, experience of data-entry and stock management, with fantastic customer service skills. With the launch of a brand new website in Aug 2019 of which you’ll be heavily involved In testing and problem-solving – this is an exciting time to join the ecommerce team. To lead customer care by attending to the Live Chat Tool on the website and managing all customer enquiries through direct communication channels. Manage the day to retail operation of www.dinnyhall.com, including ad hoc tasks delegated by your Manager. Manage timely product upload to www.dinnyhall.com and any supporting platforms, ensuring all description details are present and correct. To pick, pack and post ecommerce orders and occasionally fulfil store retail operations when required. Working with the Operations Assistant, maintain accurate web stock inventory once a week, ensuring correct stock is accurate and stock replenished where possible. Assistance will be provided by co-workers over busy periods. Participate in annual stock takes and assist with departmental weekly stock counts. Observe and learn the processes required to collate the weekly trade report and relevant statistics for www.dinnyhall.com and Harvey Nichols online. Manage www.dinnyhall.com and Harvey Nichols customer care emails and orders, processing and fulfilment. Assist with weekly meetings, both creatively contributing and minute taking from the meeting agenda format, distributing to the relevant Senior team. Contribute to the research and implementation of strategies to improve web/ecommerce platforms, using Magento/WordPress CMS, as well as any other necessary tools. Research and suggest new shipment methods to Head of marketing & E-commerce Executive. Research and implement market & competitor research techniques (surveys and polls) to propose to E-commerce Manager and Marketing Manager. Liaise with HQ on creative copy, page VM, creative/product imagery and Design and facts/descriptions. To hold regular ecommerce photoshoots, and act as key liaison between HQ and retouching services. Rigorously test and problem-solve snagging on the new website pre and post launch. Excellent Internal and external communication skills from customer service manner and approach to liaising with senior managers. An interest in fashion, jewellery and understanding of luxury goods desirable. We are currently recruiting jewellery sales consultants to work in our London based stores. Applicants must have a very high standard of personal presentation and excellent customers service skills as here at Dinny Hall we pride ourselves on our extremely high standard of customer service throughout the entire company. Applicants must have experience in luxury retail. A knowledge of fine jewellery would be an advantage. Competitive salary based on candidates' experience.